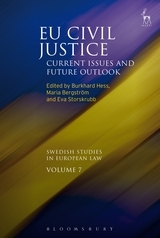 This volume in the series Swedish Studies in European Law, produced by the Swedish Network for European Legal Studies, focuses on EU criminal law and transnational police co-operation. 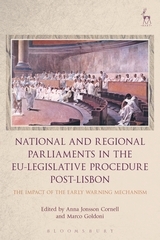 Against the background of the most important changes introduced by the Lisbon Treaty in the area of criminal law and police co-operation, this volume is divided into four main sections. Each section analyses some specific challenges. 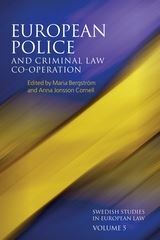 The first section includes a critical analysis of the boundaries of the new criminal law competencies, as well as some more general challenges for EU criminal law. Specific focus is set on the lawmaking process. The second section deals with EU criminal law and fundamental rights, in particular the protection of personal data and individual privacy. 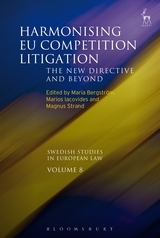 In this section, focus is on the implementation of EU law into national legal orders and the challenges that this process brings with it. The third section maps out specific challenges in transnational police co-operation, in particular, the important issue of sharing of information between law enforcement agencies and its potential impact on the protection of fundamental rights. In the fourth section, focus is shifted toward networks, horizontal agency and multi-level co-operation in a wider sense within the area of freedom, security and justice. 10. In Search of a New Lens! 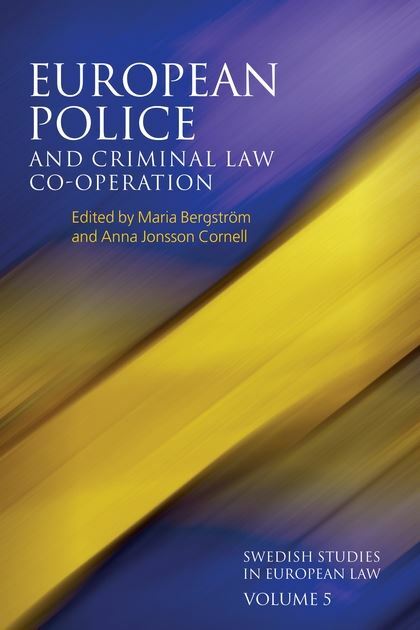 “...this volume provides an excellent overview of the legal problems and challenges resulting from the fundamental changes by the Lisbon Treaty in the area of judicial and police cooperation in criminal matters. ...The entire set of contributions provides in-depth analyses, opens new perspectives and raises new questions. Thereby, the volume gives a lot of food for thought and will significantly promote the discussion on the future development of EU criminal law. It is worth reading. Anna Jonsson Cornell is Professor of Comparative Constitutional Law at the Faculty of Law at Uppsala University .